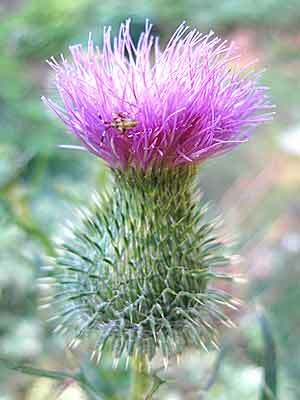 Are you tired of reading about my thistle yet? I hope not, because I am thrilled at each new visitor – or visitors. 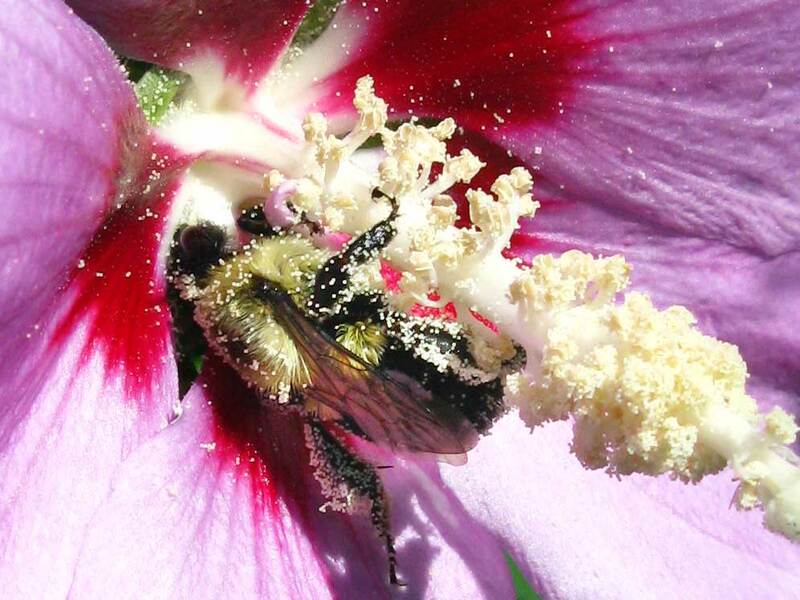 I shot this set of bees peacefully sharing one flower. I also saw a goldfinch on the weed yesterday, but wouldn’t you know? I did not have the camera with me. Hey! 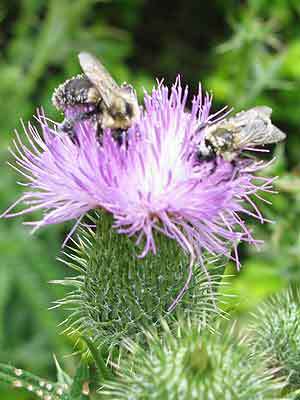 I just wrote a post about the birds and the bees. It is still safe for work!